HORSE LOVER'S OASIS ON 7.86 (+/-) ACRES FEELS VERY PRIVATE AND RURAL BUT IS JUST MINUTES FROM SHOPPING, RESTAURANTS AND MAJOR HIGHWAYS. 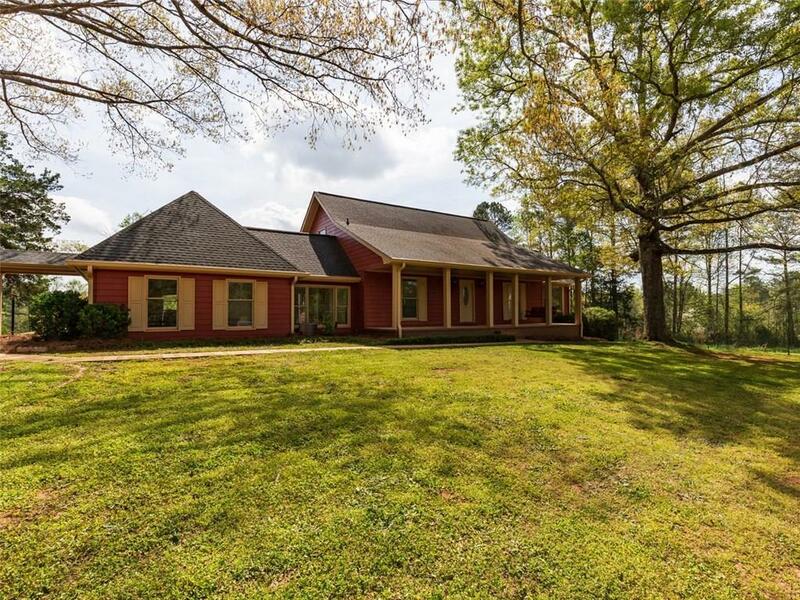 FENCED/CROSSED FENCED PASTURES, 3-STALL HORSE BARN W/STORAGE, WATER AND ELECTRICY, RIDING RING W/JUMPS, 2 CHICKEN COOPS, GREENHOUSE AND FIRE PIT. LARGE MAIN RESIDENCE PLUS IN-LAW/GUEST SUITE APT OVER 3 CAR DETACHED GARAGE. PLENTY OF ENTERTAINMENT SPACE ON FRONT AND BACK PORCHES AND ALL AROUND THE IN-GROUND SALT-WATER POOL.YOU HAVE TO SEE THIS ONE TO APPRECIATE ALL IT HAS TO OFFER! "GIDDY-UP" AND GET YOUR BUYER TO THIS ONE. Directions: I-20e To Exit 82, Right Top Of Ramp Onto Ga Hwy 20 South, In Approx 3-4 Miles Turn Right On Honey Creek Rd, Rt On Ebeneze Rd, House On Right (Stone Bridge & Pillars At Driveway Entrance).